Cosmetic Shop business ideas and plans. Are you looking for business ideas with small investment? Then you are in the perfect site. Cosmetic shop business is a small business which requires hard work, dedication and you are good to go! Today the cosmetic industry is earning billions. This is one thing, women can’t resist. Cosmetic shop business can be profitable and enjoyable but requires a lot of business planning. I will be sharing with you few ideas to help you start your own cosmetic shop. First things first, believe in yourself. You need to trust your gut, make a decision by feeling and not by thinking. To start your own business you need to write down your ideas on a piece of paper, you need tons of passion and a lot of hard work. You must educate yourself a little, this is not something you learn in your school. So if you have little idea about cosmetics, start researching today. Because your customers will be asking you stuff and you need to be educated enough answer all their questions. Cosmetic shop business can be started online, this way you will be well-known and people will know that you are reliable. You will get more customers then. Online business is one of the cheapest options if you have little investment. 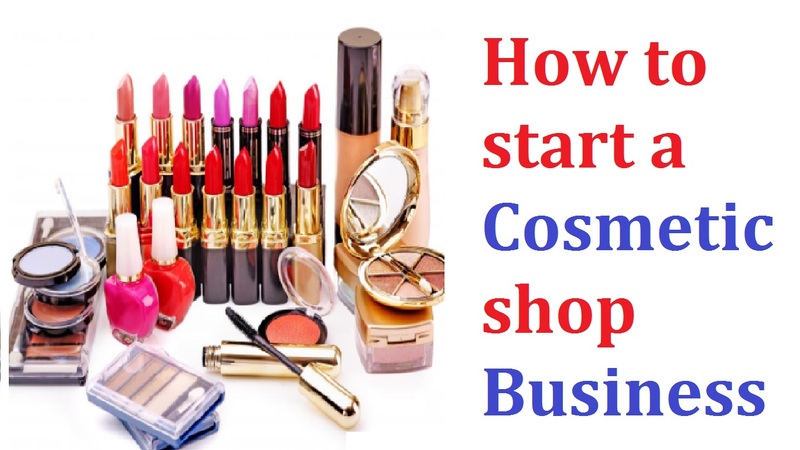 You can start your cosmetic Shop business at your own place! Yes, you heard me right, at your own place. If you have a store room or any other room that has not been used for years and it is covered with spider webs. Clean that room, throw away the stuff that you don’t use anymore. Decorate your room with decorative lights, put your cosmetic on shelves accordingly. And you are good to go! Decide which product you want to offer, once you know what you want to sell you need to know what your customers want to buy. You can do a little survey on the street asking random people, find out what they are interested in. Don’t forget to ask your friends and family, their opinions also matter. Today, it is not just women looking into cosmetics but men too. Many people are looking for sustainable, organic and anti-aging products. But most popular products include concealer, skin care products, mascara, lipstick, eyeliner, hair care, mineral cosmetics, and special-effects makeup. Hire people who know stuff, you must take an interview first. They must be cooperative, well-behaved and most importantly patient with your customers. Make a plan, not just who to hire but where to find them, how to train them and how to staff them. Get some knowledge about the FDA’s regulations or equivalent bodies regarding the manufacturing and labeling of the cosmetics. You may find this information on the “Cosmetic” section of the United States Food and Drug Administration website or your local body. As the number of cosmetic shops around the world is increasing, the demand of cosmetic is increasing at a higher rate. So you can be pretty confident about your business. Be true to yourself and do things with integrity. Therefore, the goal is not to change a woman the way she looks like but to make her look like herself, only better. From start to finish, your every product has to reflect your ethics and aesthetics.